Vanaf het begin gebruikt Yellowstar Oracle-Apex als een ontwikkelingsplatform. Na vele implementaties was Oracle Apex onder de indruk van de successen van onze klanten en hun toegevoegde waarde in de markt door IT oplossingen. Daarom heeft het Apex team onze klanten gevraagd om hun ervaringen te delen op de Oracle site. Hieronder vindt u een aantal referenties. 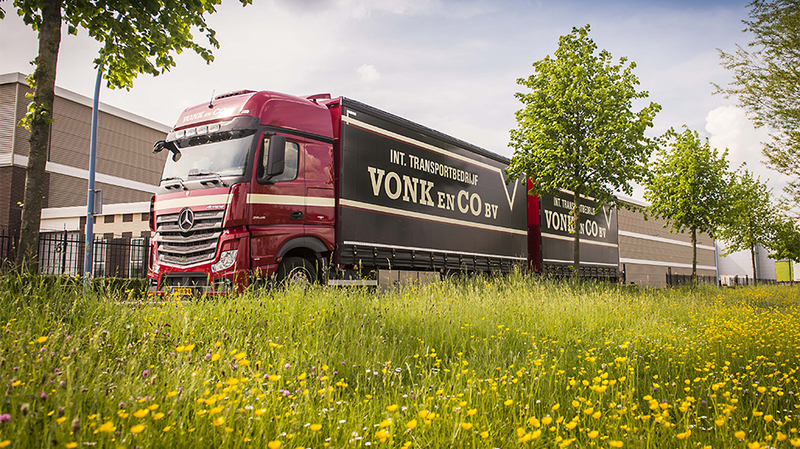 "Vonk & Co specializes in providing logistics services for shippers of manufacturing products, such as fridges, freezers and dishwashers. The main reason why these kinds of shippers use our services is because of the reliable and real time data we provide them. To do so, we use Oracle APEX technology. Our customers, such as Liebherr, Miele and Smeg can easily log in to our web portal and track their products, from the moment of order entry until the delivery. This increased transparency is benefitting both us and our customers. Despite a huge pressure on transport rates, we succeed in maintaining the partnerships with our customers. As stated, an important reason for this success is our well organized IT, and accurate data sharing. Volumes we ship for customers are growing and we recently added Bosch-Siemens Hausgeräte as a new customer, which nearly doubled the volumes we handle. We are offering all kinds of logistics services, from warehousing, and managing stock levels, to handling transport and returns flows. All orders and related data are being managed in modern TMS and WMS tools. But in order to create a smooth data flow between these solutions we have been developing an in-house system. That’s where Oracle APEX comes in. We are being supported by Pala Automatisering and Yellowstar Solutions. Pala Automatisering is taking care of managing all IT solutions and hardware. Yellowstar Solutions is supporting us in all tasks related to our TMS and WMS applications. They both have done a great job, as recently the total IT infrastructure had to be moved from two different locations to one new logistics site. The project has been very successful, and our solutions have been functioning without a single disruption." 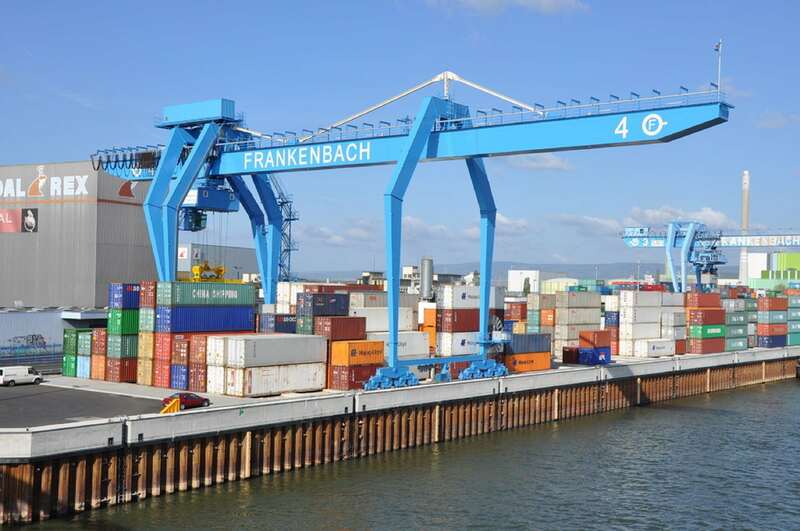 Frankenbach is a logistics service provider and operator of several container terminals. As a company we want to be able to react in a fast, flexible and efficient manner to the market. This means we need to accurately share real-time data faster and more efficiently, between the different departments of our organization, and our customers throughout the complete supply chain. In order to do that in a smart way, we need tools to support us. Yellowstar Solutions has shown us the benefits of the Oracle APEX development tool. Operating smart requires being able to look through the logistic chain, create transparent processes and standardize, plus share and manage data. How else are we going to guarantee reliable delivery, and keep costs and margins under control, if changes are being implemented up until the very last moment? Preferably this is achieved without a negative impact on the progress of processes. We are now able to work as we desire. An important enabler in this was the successful project in which Yellowstar implemented Oracle APEX. This tool has increased our efficiency enormously by linking our existing systems with web based modules and apps. They utilized Scrum project methodology for this big change. Oracle APEX is fitting in 100%! We were very happy with the project setup as it was not a lengthy, dragged out implementation process. In fact it was a quick, transparent and manageable projects with a short cycle period. A shift from small islands to open technology ensures our continued independence. Oracle APEX implementation by Yellowstar also shows our people how to get maximum results from the system and how to implement improvements. It is amazing how small changes in such a short timespan can have such a big impact on our organization. We are back on track and we are able to provide more added value to the chain." 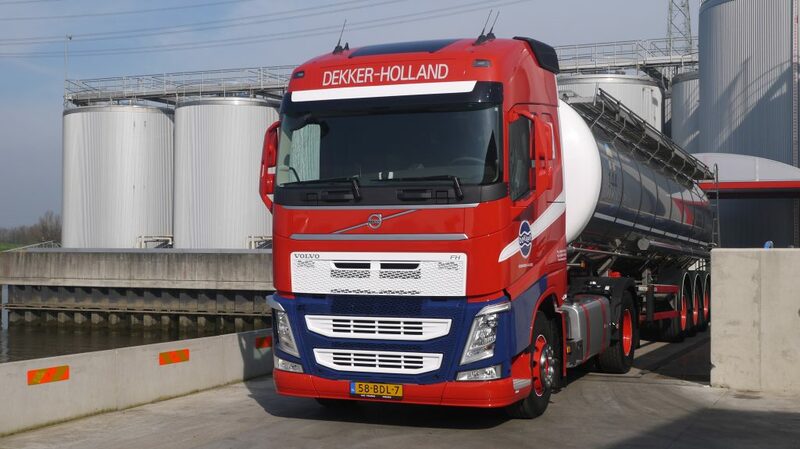 "Dekkergroep is a logistics service provider. One of its core activities is offering road tanker cleaning services. Recently we have been implementing a solution from Yellowstar, which allows us to register and plan orders for our road tanker cleaning activities. The solution they provided us is based on the Oracle APEX technology. The project has been delivered within time and budget. Registering and planning orders for road tanker cleaning activities was somewhat new to us, as we recently acquired this business from a customer, a shipper manufacturing starch and sweeteners. Prior to the implementation we didn’t have the tools in place to provide us transparency into our order administration. The successful project has brought back our trust in IT implementation processes. Thanks to the combination of Oracle APEX and the expertise of Yellowstar Solutions, we were able to achieve a very fast and agile implementation. We are now confident that IT can make a difference to our operational processes, without running over budget and time. This will lead to further development of this application." 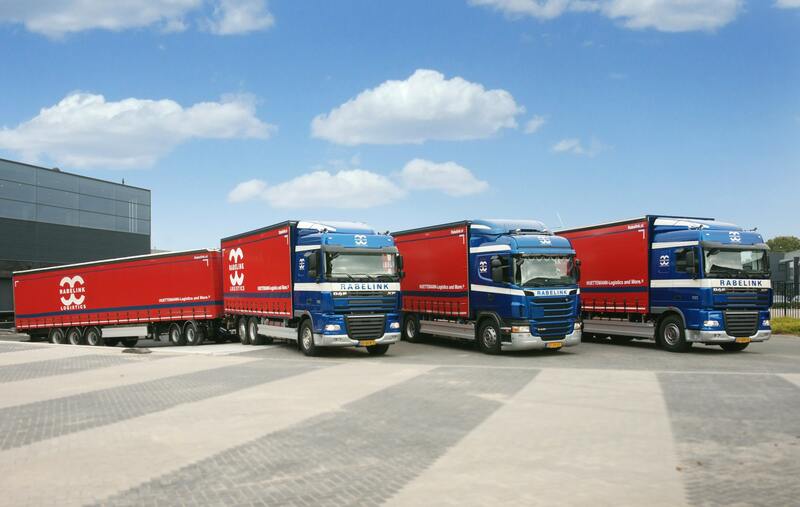 "Rabelink Logistics is a provider of logistics services based in The Netherlands. We have been adopting the Enterprise Service Bus (ESB) from Yellowstar Solutions. We use the ESB to setup EDI connections faster than ever before with our customers. The ability to setup EDI connection faster has provided us a huge benefit. We can respond quicker and in a more productive way to customer requests. New customers can be connected quicker and thus data can be exchanged by EDI between our WMS and TMS and the solutions in place at our customers. The main reason for adopting the ESB was gaining time. We didn’t have any time left to focus on what we dobest. And while we are unlocking our supply chain data by using the Yellowstar Star Flow Portal, based on APEX technology, we can easily setup the sending and receiving of data to react proactively to disruptions. Yellowstar has allowed us to be less dependent on IT providers. Previously we needed to file a request for the development of an EDI connection. In addition we didn’t know if the partner had the capacity to complete our requests. Not only have the Yellowstar experts rolled out their Star Connect and Star Flow solutions, but they have trained us on how to use Oracle APEX which has made us self-reliant. We can now setup EDI connections and tune logistics." processes ourselves. Pala Automatisering is a provider of IT services. We offer IT services to a range of very different companies, but our main focus is on those in the transport and logistics sector. Established in 2007, we feel at home in the Rotterdam harbor area. We are a partner of Yellowstar Solutions, and benefit from the Oracle APEX technology when serving our customers. At Pala Automatisering we are proud to monitor the IT solutions of our customers. By providing services to do so we are able to prevent disruptions in their supply chains. In order to get the most efficient, modern and fast software implementations we use Oracle APEX technology. Since 2007 we have handled many projects, and system renewals for existing customers. We have supported our customers using the Oracle APEX features combined with our team’s expertise. Not only by being able to use the newest technology and modern tools, but also going live in short project timeframes.The Scrum methodology has been a key enabler in achieving our quick go live dates. "Ritra is keen on adopting innovative tools and processes. By working closely together with Yellowstar Solutions, we have been able to increase the transparency in our supply chain. As a result of this we can serve our customers in the fashion and retail industry (among others) even better than before. Ritra uses Oracle Databases, some external thin-client tools and Oracle APEX. As a logistics services provider, Ritra takes care of the inbound flows of goods from Asia to Europe for retail companies. Yellowstar Star Flow provides us a clear view on all track and trace, and order data of the shipped goods from the moment the vessel or flight leaves Asia. In addition, it provides us a well-organized view on the goods movements until the moment of loading onto a vessel or flight. The Star Flow portal, based on the Oracle APEX technology, has been offering Ritra additional supply chain insights. The more data we can offer our customers, the stronger our position as a logistics services provider will be. The improved visibility we can offer, allows our customers to better plan the transport of their goods. Moreover, it enables them to make changes in the schedules, whenever necessary. Ritra was searching for a system renewal due to market needs, as described above, but also due to technology changes. Thanks to Oracle APEX and Yellowstar, we did not need to re-invest all we had already invested into building functionality within the Oracle Databases. Now we can easily renew our webbased technology and respond to our customers’ needs in a very agile way. Not only the speed of the technology, but also the flexibility and possibilities have been a great benefit to Ritra and our customers. The collaboration between Yellowstar and Ritra has been excellent, we have been working together for quite a while now. Nonetheless, we have also looked at some other solutions, than the ones Yellowstar offers. We found that most of the solutions available are overly complicated. Because of Oracle APEX we now have a tool in place that all of our customers can use. They have access to personalized supply chain data and can proactively adapt whenever needed." 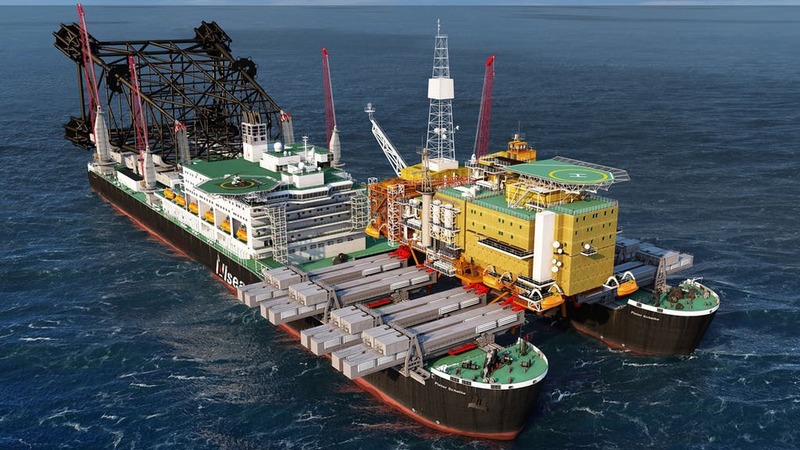 We are a leading offshore pipeline installation company. Our operational processes require flexibility and mobility, but they are highly complex as well. In addition we have to manage our project while being under time pressure. Therefore, we hired Yellowstar Solutions to help us create additional functionalities on top of Oracle E-Business Suite. We received several requests for additional functionality from within our organization, such as from our logistics experts. We ship fairly large amounts of supplies, maintenance and project equipment to and from our offshore installation vessels. Examples of our complex logistics activities include a large number of urgent orders and high pressure, which places a huge demand on our systems. We transport regular shipments by container, while rush orders are often transported by trucks, ships, planes and even helicopters. Thus, to deal with these complex logistics needs, we hired Yellowstar. They provided us with a Logistics Documentation tool developed in Oracle APEX. After a successful implementation we saw the power and the potential of the Oracle APEX tool and decided to continue with Yellowstar (and some other companies as well) in developing additional modules and add-ons on top of our E-Business Suite. The biggest advantage for us is the price (no additional licenses needed to use APEX! ), speed of delivery, and the flexibility of the tool. It was these aspects that helped us most, in creating and visualizing our end users’ requests, and quickly make them more efficient. Yellowstar was a big help in getting the best practices & best efficiency out of Oracle APEX. To sum up, we are happy with the solution offered. It is certainly fitting with the Allseas IT strategy." "Caliber Global is specialized in planning all supply chain activities that are related to store development projects. We provide our services to customers worldwide. Yellowstar Star Flow, a solution based on Oracle APEX, supports us in offering a view on the end-to-end-transparency of a project. From the design of a shop until the go live of the shop after construction. As a result of the Oracle APEX technology we are able to manage all aspects of our business without support from an IT-partner. We don’t need an implementation or support department. Still, we were in strong need of a well-integrated suite of IT-tools. From the moment of the rollout, Caliber has access to the Star Flow portal, Star Insight dashboarding, Star Connect integration and Star Frame. All of these tools from Yellowstar are based on Oracle APEX technology. These solutions allow us to manage an entire planning project for a store development project. We can in fact shorten the initial project time by an estimated 2 weeks. As such, the retailer can reopen the shop earlier and boost revenue. The rollout of the Yellowstar suite went well. The technology is delivering supply chain insight as promised. We were pleased with the project setup based on Scrum. The rollout has been divided into several smaller projects which were manageable. Yellowstar was keen on setting up and maintaining frequent discussions about the tasks that needed to be executed. As a result, improvements were immediately visible, and so far projects have been delivered faster."